To some extent, you may found that the TV sets and the computer monitors are very close relatives. At the first glance, you can regard both of them as a piece of screen for your own use, for watching videos, or scanning emails and so on. But generally speaking, they also differ in design and image processing capabilities. For most TVs, you can find PC mode option on it where you can connect your computer to. Now let’s put it more specifically, if you have broken your computer monitor just right now, but you have to fix it immediately so as to process your working stuff on the computer, then an Ultra flat HD screen is just locating in the wall in your living room, what would you do with it? Can you make a more efficient decision basing on this situation? Or just insist on buying a new computer monitor? Today, this guide will take you further in the field of the relations between a flat screen TV and a computer monitor. Of course, we will give you the most comprehensive solution on can you use flat screen TV as computer monitor or not. Will it still work by using a flat screen TV for computer monitor instead of buying a new one? Now, let’s get it started. Part 1: Can you use a flat screen TV as a computer monitor? Part 3: How to use a flat screen TV as a computer monitor? 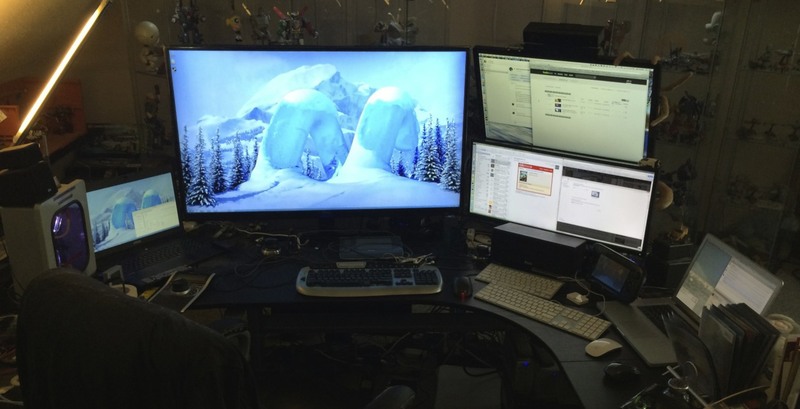 Using a flat screen TV for computer monitor can take you to a at least bigger world than a common computer monitor. But some of you may be still confused, can I use a flat screen TV as a computer monitor or not? Absolutely, here I want to confirm that it is complete OK for you to replace computer monitor with your flat screen TV, at least technologically speaking it is entirely available. Just as mentioned above, a flat screen TV is usually bigger than an ordinary computer monitor, and furthermore, you can save a couple hundred bucks to buy a new computer monitor. Also, the processing capability for screen TV is much powerful than a computer monitor which can provide more optimized television picture. What you must guarantee so as to replace computer monitor with your flat TV is that the flat screen TV must contain a HDMI port to connect your computer and make sure the graphic card on your computer is capable of outputting the proper resolution on the flat screen TV. For majority flat HDTV screens, they have HDMI inputs. Then you only need to connect your computer with a HDMI cable. Using a flat screen TV as computer monitor can still make everything run smoothly, doesn’t it? Well, I should say this depends on a lot of factors and the purposes. If you are using the flat screen TV to watch videos, then you will enjoy the best picture quality if the resolution of the video you are watching is perfectly matched with the TV. But things may not go very well if you use the flat screen TV for processing emails, office work, scanning web pages, documents and so on, then the picture will look very fuzzy and unclear. Usually, the text on the TV screen will be larger and more unclear than on your computer. Why does this happen? Because the TV screen is not designed to have the appropriate resolution for the computer monitor, and the pixel density varies between flat TV screen and computer monitor. In practical use, the pixel density for a computer monitor higher than TV, so you can see clearer images and texts on the computer monitor. Once the texts are displayed on the TV screen, its pixel density will be lower and its resolution will be lower which result in the less clear texts and images. Even though it is not always the perfect mode while using flat screen TV as a computer monitor, you can’t deny that excellent flat screen TVs would bring you a lot of advantages and benefits. In order to make you more clear about the flat screen TV, next I will introduce three of the best flat screen TV to use as a computer monitor in the past years. As one of the best flat screen TV to use as a computer monitor, LG’s OLED 55E8PUA has won a lot of praises in 2018. Compared to conventional flat screen TV, this TV has a better picture and more creative designs. From its appearance, you can easily be attracted by its simple but extreme slim panels design. It is 55-inch large which is much wider than other TV released at the same period. If you have to make a choice between this one and another LCD TV, you will not regret to choose it as your firm choice because of its appearance, proper size and excellent picture quality. Its excellent contract and color range will be your favorite and the built-in Google assistant makes it much cooler. But, if you prepare to buy it, you have to spend about $3,299.99 which is much expensive than others. 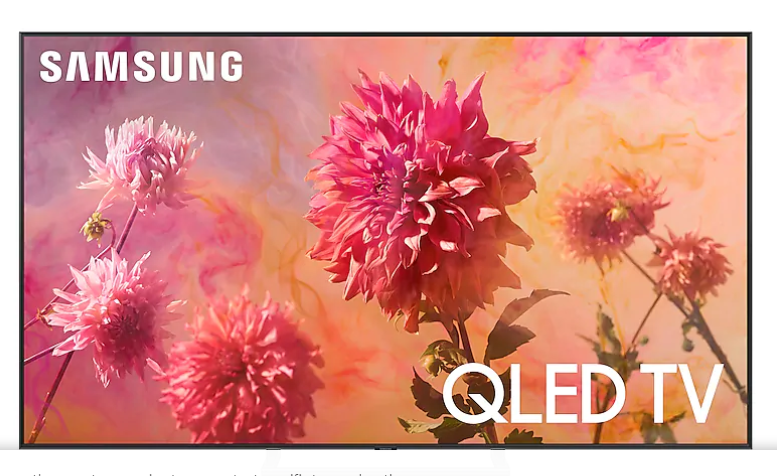 As the representative for Samsung TV sets, Samsung Q9FN QLED Smart 4K UHD TV presents to be more comprehensive in its features and functions. Q9FN QLED TV is bigger and more expensive packed with more enhancing technology nowadays. With such a TV at hand, you can enjoy the excellent color range and high contrast level as well as the larger screen with 56-inch model. 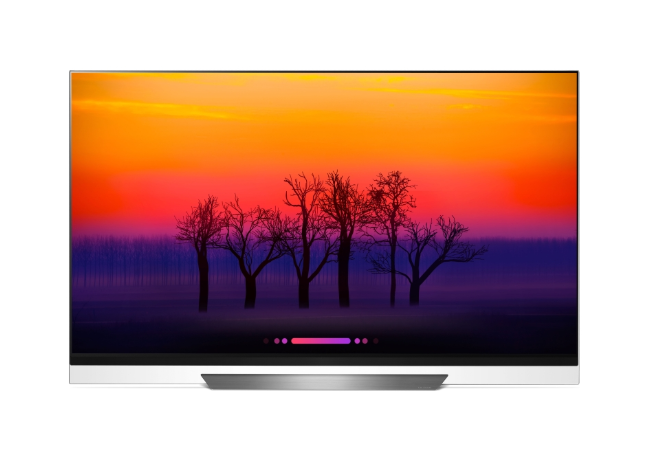 Compared to other TVs, Samsung Q9FN is the most expensive and largest TV in the market. This TV is able to show the widest color range because of its two technologies inserted in. Furthermore you can enjoy the best performance due to its bright panel. The OneConnect box makes it more flexible for wall mounting, and I have to say again it is really wide. You can enjoy its intelligent home assistant control freely. But its limits lie in that it lacks of Alexa or Google assistant and its price is a bit high as a non-OLED TV. Last of all, I want to introduce one of the most affordable and best flat screen TV to use as a computer monitor, that is TCL 55R617. Compared to the above two TVs, this one is available to the majority due to its basic but classical functions and features. 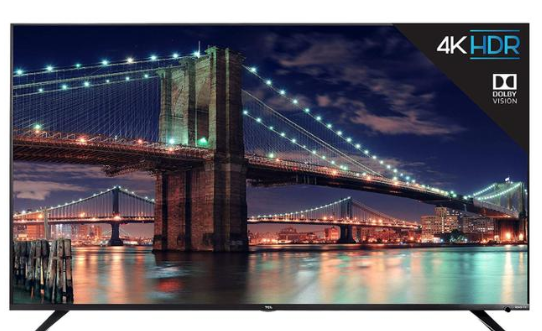 TCL 55R617 is 55-inch large and more series about this TV is continually expanded in the future. Later it is said that 4K TVs will be added. And the 65-inch version will be released in the near future. What’s worth mentioning that this TV adopts Roku platform for its connected features and interface which makes it possible to present a simpler and easier interface for users. Also, you can enjoy various streaming apps on this TV. If you are looking for such an affordable flat screen TV to use as a computer monitor, then TCL 55R617 will be your best choice. By referring to the above information, maybe you have bought your favorite flat screen TV already. Then can you use flat screen TV as computer monitor? Or do you know how to use flat screen TV as computer monitor? Connecting your computer to the TV requires a video cable. Once you have prepared the right cable to connect your computer to the TV, then you can use the flat screen TV as a computer monitor easily. Usually, there are following types of connecting cables. HDMI – It is the current standard connecting cable. Most computers have the HDMI port which carries both audio and video. It looks like a longer USB port. VGA – It is an old connecting standard cable for devices. Usually VGA can only be found on standard TVs, not HDTVs. DVI – It is a digital connection cable which adopts pins to transfer the image signal. The DVI connectors have three rows of eight pins each. It is not common any longer, so you had better pay more attention to the connecting portal. Once you have determined which cable you should use, then what you need to do is to connect your computer to the TV with this cable. Then you can play videos and process other stuff on your TV with ease. With such an excellent TV at hand, if you can download a more powerful media player on your computer, then you can obtain a better watching experience. In order to provide the best audio and video, I strongly recommend you to use Leawo Blu-ray Player as your media player which can fully solve all your requirements on videos playing and customization. Leawo Blu-ray Player contains all media playback solutions you need for your leisure entertainment, including 4K, Blu-ray, DVD, CD, HD (4K), MPEG, WMV and so on. ☉ 100% free movie player for Mac users to play Ultra HD 4K, 1080P and 720P video for free. ☉ Free Blu-ray disc player to play 4K Blu-ray disc and 1080P Blu-ray disc, regardless of disc protection and region code. ☉ Support multiple audio decoding systems like Dolby, DTS, AAC, TrueHD, DTS-HD, etc. ☉ Adjust subtitles, video and audio during media playback. With advanced image and audio processing technology, Leawo Blu-ray Player provides you not only across region blayback, but also extraordinary movie playback and cinema-like experience. Furthermore, within Leawo Blu-ray Player, you could obtain the personalized settings according to your preference and all the settings could be done automatically. You can click on the drop-down menu panel on the top right of this player which includes Playback, File Associations, Audio Output, DVD Blu-ray etc. to have the personal player settings. Just take a try. Leawo Blu-ray Player will make it more unforceful to obtain the movie on your flat screen TV.